After visiting the Alexander McQueen exhibit at the V&A Museum, I discovered a parallel between Majoor and McQueen –both designers respected tradition and understood the rules of their trade well enough that they knew how to break them and innovate. This is best shown through Alexander McQueen’s Fall 2008 collection, A Girl Who Lived In A Tree. 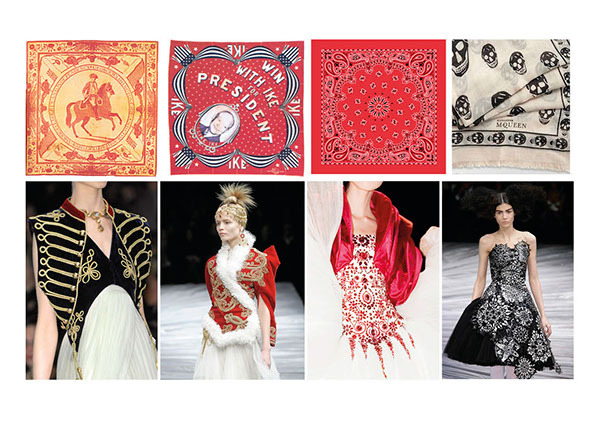 The ornate embroidery and intricate patterns on McQueen’s designs reminded me of those on a traditional bandana. I designed a scarf, paying tribute to McQueen’s iconic skull print scarf, using Majoor’s font. 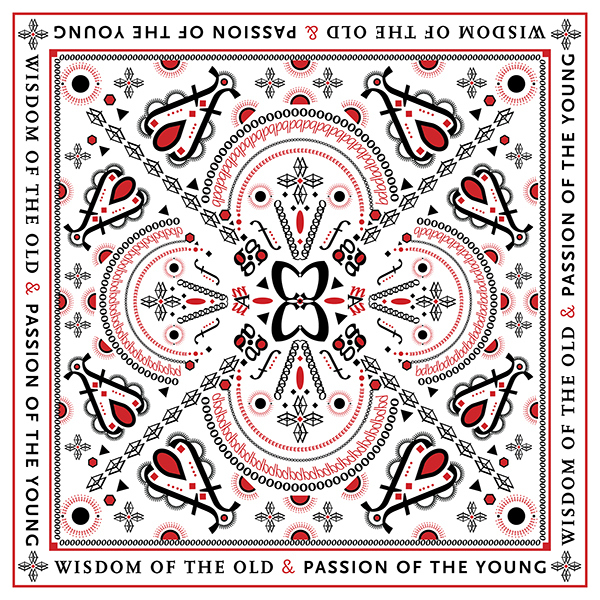 Resizing and layering the letterforms I created a bandana-like graphic print with “Wisdom of the old & passion of the young” as the underlying message. I took Scala, a font commonly used in textbooks and pamphlets and turned it into a textile. Typography meets Fashion.